What Is The Greener Option – Reusable Razors or Disposable? 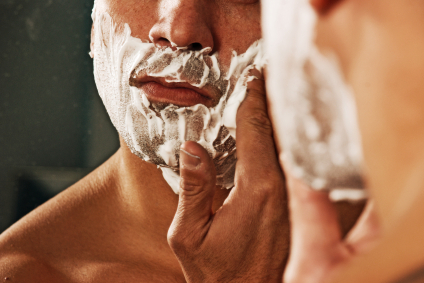 Shaving is part of everyday life for the majority of men as well as for many women. In the 21st century, when so many people are looking at their choices and actions from an environmental perspective, the subject of the greenest type of razors has become a hot topic. In this article, we will look at reusable vs disposable razors from both an environmental and a cost perspective. Possibly the biggest environmental aspect of the modern razor is that so much plastic is used to manufacture them. Plastic is made from petrochemicals and oil is quickly becoming a diminishing resource of the earth. Plastic does not break down easily when dumped in landfill and so this material will be around for a very long time, littering the planet. Even though some razors are made using recycled plastics, most will still end up in landfill. Let’s look at disposable razors first. These are the ultimate in convenience in the modern throw-away world. They are cheap to buy, give you a reasonable shave and can simply be thrown out after a few uses. You will only get a few good shaves from a disposable razor, so you have to continually buy new ones. Even though they are relatively cheap to buy, because you need to replace them frequently, the cost per year can really add up. You cannot buy replacement blades for a disposable razor so you have to throw out the whole thing. This makes them a most unsatisfactory shaving solution from an environmental point of view. With over two billion disposable razors sold in the US every year, they are an environmental nightmare. The disposable razor is a modern version of the old safety razor, which is a reusable type of razor. These have been around for more than a century and consist of a handle and blade assembly, traditionally made of metal, so they last for a long time. When the razor blades get blunt, you replace them, making this a good green option that saves you money. They are more difficult to source but expect to pay between $25 and $100; you might be able to find them at antique stores. Modern blades will fit these older style razors and only cost around fifty cents each. The top razor manufacturers like Gillett and Schick have taken the old safety razor to new heights with modern-day marketing to match. These companies have developed shaving systems that are advertized as giving the smoothest, cleanest shave with a price tag to match. You have to buy the matching replacement razor blades, which often come in special cartridges that only fit one particular model of razor. But at least you don’t have to throw the whole razor away when it becomes blunt, so from a green perspective, they are a better option than the fully disposable variety. The original purchase price of the shaving system may be a bit steep but at least you only have to buy new blades, which are less expensive. While many men say that an electric razor doesn’t do a good enough job, millions of people swear by them as a practical and convenient shaving option. These reusable razors are powered by either battery or electricity, taking the hard work out of the daily shave as well as saving time. They last for some time and cost anything from $50 to $200, depending on brand and the additional features that may be included in some models. Sometimes spare parts are available but these are often more expensive than a new electric razor so they get thrown away anyway. However, you certainly will get many more shaves from this type of reusable razor, making them a greener option than other types. The greenest and most cost-effective shaving solution would have to be the straight razor, also known as the cut-throat razor, a name that doesn’t really encourage anyone to use one! These are the razors you see being used in the barber shops of old movies. Proponents of the straight razor claim that they give the best, closest shave of any razor ever invented. While a new one may cost you more than $100, there is almost no waste involved because they last for years and years. They are the ultimate in reusable razors. You will also need a sharpening strap, traditionally called a strop, and you might like to go the whole hog and get yourself a shaving cup, soap and a badger hair shaving brush as well. Once you have all the gear, though, the only additional cost is more soap when you have used it up. There is a skill involved in shaving with a straight razor so be prepared to put in some practise time until you master the art. So there you have it; the facts of reusable vs disposable razors. Try and avoid throw-away disposable razors to be green and save money. Any other option is better but treat yourself to the joy of a really close shave and invest in a straight razor for the greenest option that will definitely save you money. So, what kind of razor do you use? I have a ton of disposable razors left over from my couponing days. Once we run out, I’m going to look for a different option. I hate throwing things away after only several uses. Even though I use them as long as possible, it’s still very wasteful! I agree. I have a few things that I need to use up too but after that renewable and reuseable all the way. It makes no sense to get rid of something until it is at least used up even if it isn’t reusable. I’ve used both disposable as well as electric razors in the past and go with whatever’s convenient at the time. I also have used the ones with replaceable blades, but would always have issues finding the right ones to match and eventually gave up on those. Having to always buy a specific blade for a certain razor can be a pain but at least you are adding to the landfill a lot less of the time. That is awesome. Depending on how your electricity is sourced it could be pretty green. The fact you have used it solid for three years is awesome. I just use the cheap disposable razors that my wife gets me. In my line of work, a good shave isnt’ very important, so I do a half-a$s job with cheap razors and am pretty happy. NEver thought about the environmental part of the throw-away razors though. Maybe I should try and upgrade to electric or a replaceable one. The good thing about upgrading is you will have to buy replacement blades a lot less often. You should look into it. This one is easy for me. I have a beard and only use my electric to trim it up. I have not bought a razor in over 8 years. I do get free trial ones from companies all of the time, so I am stocked up. Go beards go. I am glad you to hear your face has very little eco impact. I have a mix of disposables and the ones that just need a replacement cartridge–I’m phasing out the disposables because they’re horrible! Good to hear. That is a step in the right direction. My husband uses the razors where you buy the cartridge. He has had bad experiences with electric, so it’s worth it to him. At least they aren’t the disposables. Has he ever tried blade shaving? By far the greenest option is to just let your beard go mountain man and never shave at all…my personal favorite! Some do that and it works out just fine. Do you have a beard? lol. Au natural Maria? Good stuff. At my wife’s request I recently grew out my beard, which has certainly cut down on the shaving. For the spot shaving I use one of the semi-disposable razors. I don’t trust myself with a cut-throat razor, because that is exactly what it would end up being with my accident prone-ness. They can be scary until you get use to them that is for sure. I have been told though that they give the smoothest shave. With having the beard you are shaving less so that is good. We use what is on sale, but can’t use the really cheap ones cause they cause injury! I use disposable because I just think they are a bit more healthy and clean and actually, razors are germ ridden as well as disease ridden. So never share! Even with my kid, she is 13 I have drilled into her NEVER use anyones. Not even mine, I would really yell at her if I thought she was using someone elses. Oh, so I don’t know, which is best, and I can’t wait to find out! You can clean blades by soaking them in either vinegar or tea tree oil and water. Works well. As far as the disposables that is definitely not the way to go. At least get the ones with the replacement blades. I find the blades last a lot longer so you can buy them less often. As far as sharing I totally agree with you.